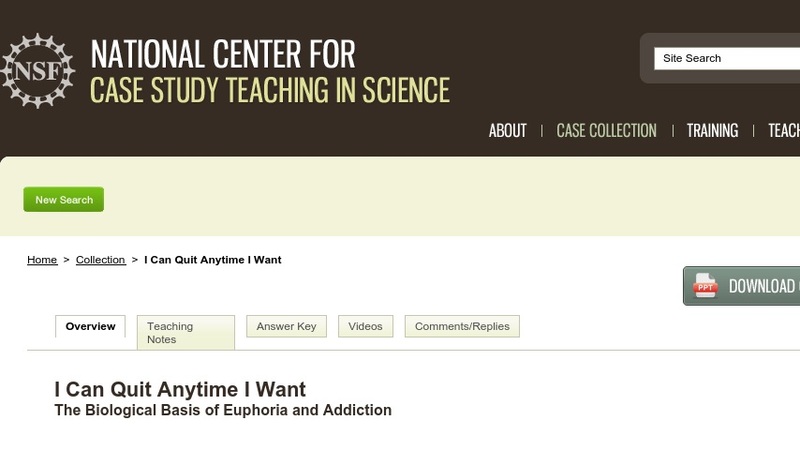 This “clicker case” explores the biological basis for the temporary euphoria that accompanies drug use as well as certain aspects of the biological basis of drug dependency. The case is called a clicker case because it is designed for use with personal response systems (aka clickers). The case itself is a PowerPoint presentation (~2.7 MB) punctuated by multiple-choice questions that students answer in class using clickers. It could be adapted for use without these technologies. The case was developed for use in a large introductory biology course for both majors and non-majors.